Imported spec vehicle with 4 cylinder engine, white interior and automatic transmission. Black SUV/Crossover with red inside. It has xenon headlights and CD player and has 20 inch wheels. GCC spec Land Rover Range Rover Evoque, black SUV/Crossover with tan interior. It features multiple off road controler , 20 inch wheels and alarm. White 2016 4 cylinder SUV/Crossover. Red interior. It has rear camera and navigation system. 4 cylinder red 2013 SUV/Crossover. White interior. Premium sound system, 10 inch wheels and parking sensor rear. Price: AED 79,500. 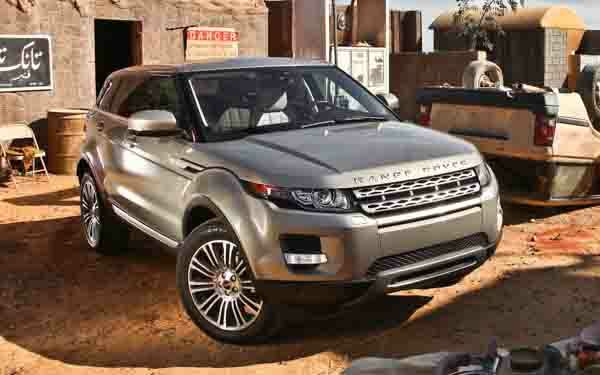 Land Rover Range Rover Evoque for AED 100,000 with many features, including rear camera, fog lights, navigation system. Blue with other color interior. GCC spec 2016 Land Rover with Parking sensor rear, 18″ wheels and Rear camera. Price reduced! 2018 Land Rover with rear camera, power locks, leather seats. Brown with beige interior. 2016 Land Rover Range Rover Evoque, priced at AED 115,000, with features such as MP3 interface, AUX audio in, alarm. It has black interior and is Grey/Silver. GCC spec. Reduced price! White Land Rover Range Rover Evoque GCC Specs - Well Maintained from 2012 with black interior. 2015 Land Rover with 4WD, climate control, traction control. Grey/Silver with black interior. GCC spec 2015 Land Rover with Bluetooth system, 19″ wheels and Cruise control. Price reduced! Almost new Imported spec 2016 Land Rover Range Rover Evoque with black interior and 19″ wheels, Premium sound system, Xenon headlights and Power locks. Automatic Land Rover Range Rover Evoque with 18 inch wheels, airbags (front and side), ABS, beige interior, grey/silver exterior. Automatic, 20 inch wheels, air conditioning, CD player, red interior, black exterior. Price: AED 200,000. GCC spec Land Rover Range Rover Evoque, green SUV/Crossover with brown interior. It features tuner/radio, 20 inch wheels and power locks. Price: AED 149,000. GCC spec Range Rover Evoque from 2015 for AED 110,000 with a 4 cylinder engine. Black SUV/Crossover with black interior. It has ABS and power locks. GCC spec Land Rover Range Rover Evoque with 360 Degree Camera , 20″ wheels and 4WD. Price reduced! GCC spec automatic, 20 inch wheels, climate control, power windows, red interior, red exterior. Grey/Silver 2014 4 cylinder SUV/Crossover. Black interior. It has alarm and power locks. 2015 Land Rover Range Rover Evoque with features such as moonroof, cruise control, MP3 interface. It has black interior and is White. Imported spec. Automatic Land Rover Range Rover Evoque with 19 inch wheels, leather seats, CD player, black on the outside, beige interior. Imported spec Land Rover with ABS, 20″ wheels and Leather seats. Price reduced! Automatic Land Rover Range Rover Evoque with 17 inch wheels, ABS, power seats, white on the outside, black interior. Land Rover Range Rover Evoque black SUV/Crossover, black on the inside with power windows and navigation system. 20″ wheels. Greg - Pre-owned Land Rover Evoque looks good, drives solidly and has an array of fantastic features to rival anything in its class. However, there is just one thing, even though it has a multi offroad selector it doesn’t fair too well on any terrain besides tarmac. Samira - Used Range Rover Evoque’s are the perfect cars for anyone looking for a luxury crossover. The body shape and the options alone are enough to buy one. Highly recommend as it’s a perfect car for Dubai. Pros: Handling, looks and options. Cons: Not a lot of boot space with 2 door models. Khan - My second-hand export Range Rover Evoque is an excellent car. Many features inside, it looks unique, and five people can fit inside. The only problem is it has a high price when new. 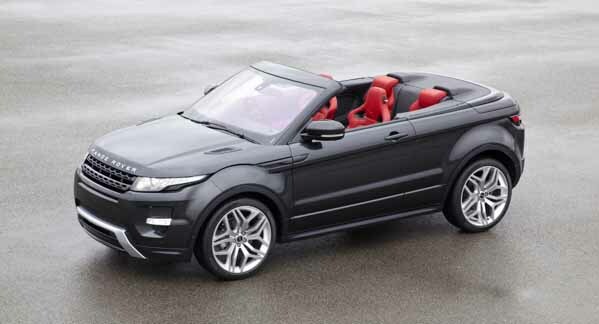 If four doors are too many, you can get a Range Rover Evoque with two doors instead for a sleeker coupe style. Even though it may be entry-level, no luxury is spared inside and out. It may look small, but it’s got a lot of room for passengers. As it’s powered by a four-cylinder motor, fuel economy is miles better than other Land Rover models. Much like the Defender or any other Range Rover, there are always people looking to buy used Range Rover Evoque in Dubai, UAE giving the cars high resale value. 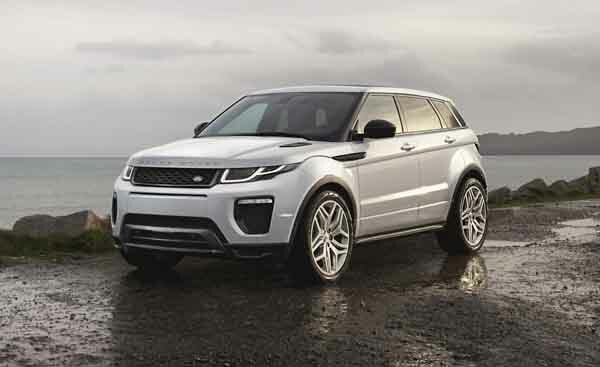 Most cars in the market strike up a similar resemblance to one another, not the Range Rover Evoque. Finding one in the parking lot is super easy! Serving as the entry-level Land Rover, 2012 marked its appearance in a very competitive market; the crossover segment. As it entered, it had a lot to offer regarding options both inside and out, even though it did fair well in some markets it proved a worthy competitor. And to spice up the market, last year Land Rover unveiled a convertible version. With its low slung roof and overall sharp appearance, two trim levels are available in GCC trim (four in export markets), and they are Pure and Dynamic. Pure is the basic trim inclusive of leather interior, 18-inch rims, power seats, touchscreen media system with navigation, Bluetooth, media inputs, cool box, parking sensors, reverse camera and multi off road selector. Dynamic models have all that plus 20-inch alloys, panoramic sunroof, heated seats, memory seats, internal hard drive, a premium sound system and a power tailgate. Standard safety features on both trims include; front and side airbags, ABS, stability and traction control. A single 2.0-litre turbocharged inline four cylinder petrol motor powers all four wheels via a 9-nine speed transmission. Import cars have a front-wheel or four-wheel drive setup as well as diesel options. Prices start at AED 125,000. A refresh was added to the front end of the Evoque, new headlights and grille were attached and for changes, that's as far as it goes. Everything regarding specs returns for a few more years. Only the transmission is upgraded, the options menu increases and now includes lane departure warning. Joining the lineup either as 2016 or 2017 model is the Evoque convertible. With a two door set up, a soft fabric retractable roof will shield those inside during the summer and can be dropped down in the winter for occupants to take in that beautiful weather we have in the UAE. Although, it’s unknown what else is different, everything else besides the roof looks Identical to the two-door models which are currently in production.